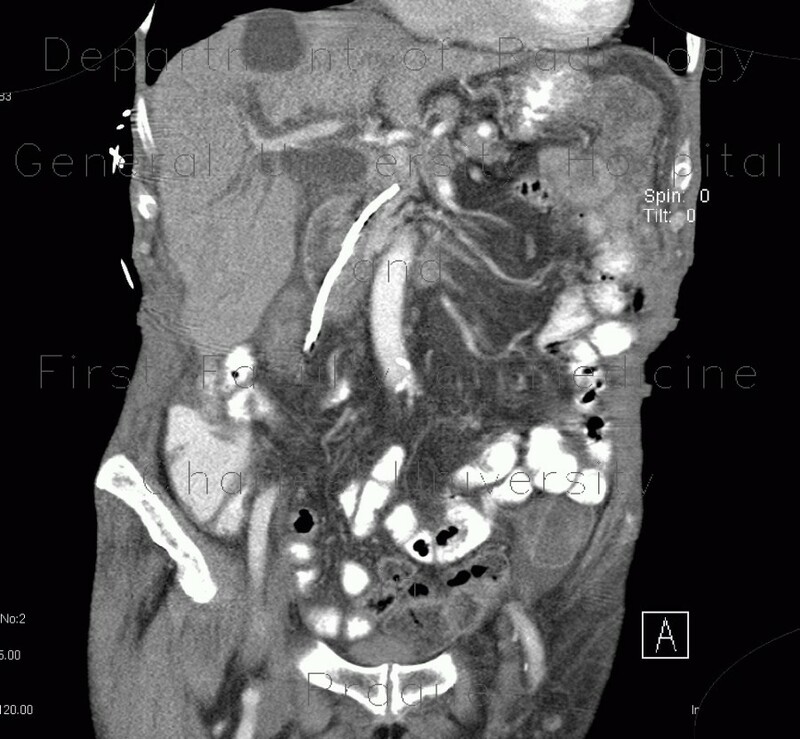 The first series of CT slices shows that a duodenobiliary stent migrated distally and penetrated the wall of the descendent part of duodenum. The biliary tree is dilated without pneumobilia. The next series after the stent was removed shows contrast in the biliary tree after previous ERCP and filling of a fistula from the duodenum, where the stent originally penetrated.